Started with “A Dirty Job” my first Christopher Moore book. 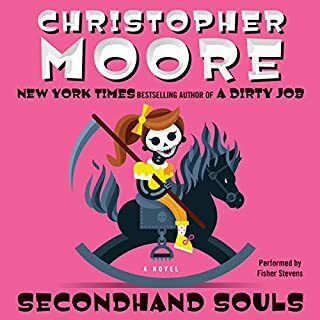 Secondhand Souls is the Sequel to that and I liked it as much if not more since you get to revisit the lives of most of the characters from “A Dirty Job”. The Book is a Biological Science gem. Parasitology (minus bacteria and viruses) as the author writes about shows itself to be an understudied but essential part of living organisms and ecosystems. The book was written in 2000. I’m curious to see if any of the authors contentions about parasitology, it’s centrality and potential for scientific breakthroughs have come to pass. Great topic written is very engaging style. My only complaint: Literally, the last few minutes of the book when the author started talking about “Gaia”. Ok I’m hoping he was using Gaia as metaphor, not teleologically. Then right after that he makes this statement. “Parasites are expert at only causing the harm that is necessary. Evolution has taught them that pointless harm will only harm themselves” What? He is giving Evolution “agency” to “teach” parasites - ok, not to much guys or you’ll hurt your host? That is disturbing sloppy to hear from a Scientist. Richard Dawkins would not be happy. Beyond the overreach on Evolution his love of his parasite subjects seems to have temporarily confused him. 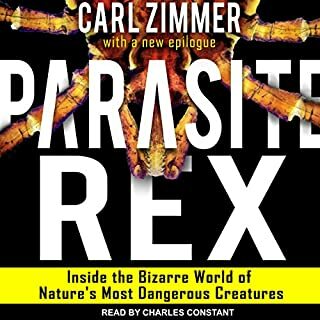 Parasites are fascinating, perhaps essential, but they are the bad guys. Very few people would find the definition of “Pointless Harm” from a parasite as acceptable. Studying them is essential to stop the damage they do. Well done book. Some common knowledge already understood by those with a scientific background and some less common knowledge. Regardless of your interests or beliefs it’s hard to refute the challenge to be just a bit more skeptical. I didn’t agree with 100% of the Authors points of view (close but not 100%) but then again they wouldn’t necessarily want me to. 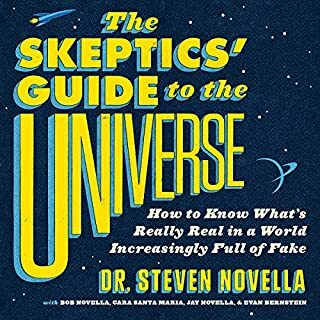 The book deals with scientific skepticism which makes it easier to establish some ground rules. 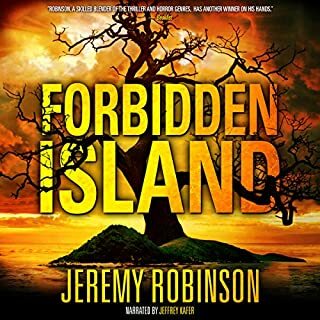 Works very well as audiobook. The atomic bomb was the unnecessary product of mistrust and deceit between World War II allies - resulting in a threat of nuclear war that still haunts us today. Peter Watson recounts this pulse-pounding story of military overreach, which led to the development of an unnecessary weapon that, once it existed, was inevitably going to be deployed. 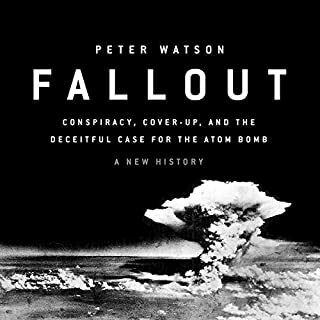 He shows how politicians fatally failed to understand the nature of atomic science and, in so doing, needlessly exposed the world to great danger - a danger that is still very much with us today. 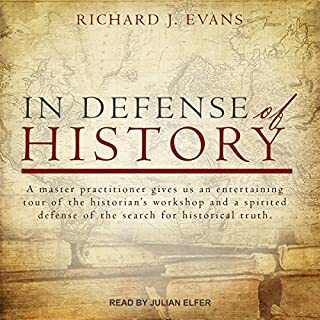 The History part wasn’t bad but the conclusions seemed somewhat whimsical or just ridiculous depending on your point off view. The degree of spin and gross historical omissions the Author needed to make his argument is staggering. I had to listen to parts several times just to make sure I heard it right. His conclusions go against everything I’ve read on this topic in the past and everything I’ve read or experienced firsthand on human nature. Conspiracy junkies will no doubt add this to their collection. 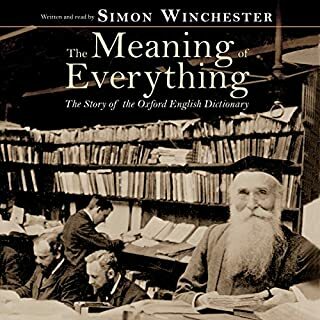 Writing with marvelous brio, Simon Winchester first serves up a lightning history of the English language and pays homage to the great dictionary makers from Samuel Johnson to Noah Webster before turning his unmatched talent for storytelling to the making of the most venerable of dictionaries: The Oxford English Dictionary. If your interested in History, Monumental works or just Dictionaries this is a great book. S. Winchester’s books take often seeming obscure topics and shows just how important they are. Jon Hudson, lead investigator for the Department of Homeland Security's Fusion Center-P, thinks his job is a joke. While other Fusion Centers focus on thwarting terrorist activity, Hudson's division is tasked with handling paranormal threats to national security, of which there have been zero during his years at the DHS. When yet another Sasquatch sighting leads to a research facility in the backwoods of Maine, disguised as an abandoned Nike missile site, Hudson's job becomes deadly serious. I’ve seen the Hollywood reruns and remakes of Godzilla and Company but I have never read Godzilla like monster books. So yeah this is not the most original topic for a book. Would not have given it a try except that I just got finished with the Author’s book “Infinite” and I really enjoyed it. I was surprised how much I enjoyed this book considering the subject matter. The book was right out of the X Files and Godzilla reworked to give a very familiar bunch of characters just slightly altered. So original - nope, but since I liked the X Files and the Godzilla type movies the book was good. You do have to extra efforts to suspend belief at times during the story. Not with the Monster stuff but with the main characters abilities. One minute he’s an absent minded, disgruntled DHS worker then he’s a combo of Jason Bourne and Macgyver. If your ok with that kind of stuff you should enjoy the book. I’ve read 3 other books by the author and this is by far the least interesting. Not sure why as the subject matter is just as imaginative as his other stuff just got bored with it. 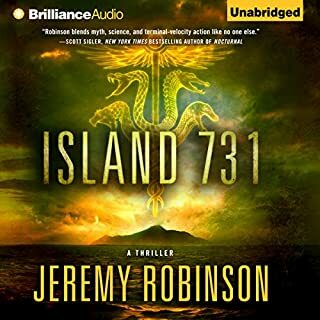 The book has a lot of good reviews on Audible but the story seemed flat. Since the author is incredibly prolific I’d skip this one and try some of his others. 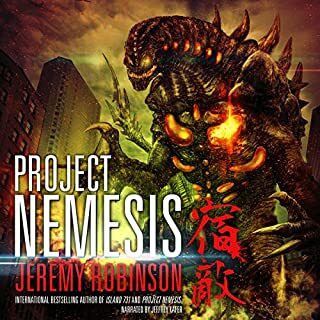 This is noted as Book 0 of his Nemesis Series. This has almost nothing to do with Book 1 of his Nemesis Series (which was very good) so your not missing out on anything by skipping this. This is 1st book by this author I have read. Sort of clunky characters but the interesting and bizarre storyline makes up for that. It may not be great Literature but the author has quite the imagination. About 1/2 way thru the book it seems like the story is wrapped up but then it takes an unforeseen twist and goes on for another 4 hours. Good fun read. I have had no formal training in the field of writing History but I enjoy reading History. I am in awe of Evans after reading his Trilogy on the Third Reich. From my armchair I have observed some Historians can write about topics I had little or no interest before starting and keep me up all night, while others, even when writing on my favorite topics can put me to sleep in a page or two. Evans’ keeps me up all night. This book is the perfect example. A book on writing history - boring right? Nope, even this book was a page turner. I was surprised to find that historians are in crisis (or at least some are). Like Fake or Blatantly Biased News is destroying Journalistic integrity, Fake History or Blatantly Biased History is an equally big problem. I though for an Academic Historian - objectivity, attention to detail, and a gift for writing, even if limited, were prerequisites. A History book should stand up to fact checking and peer review and have a talented editor. Just the basics. Every “Professional” should have certain training and guidelines. For example your family Doctor - You should expect at a minimum that they have gone to Medical School, Residency, and completed a Board Exam. Yes it is reasonable to expect they passed all of them. Your would expect your Doctors colleagues and the relevant State and Federal licensing Organizations to approve of your Doctors practices. It’s no shock to find out some Historians plagiarize, outright lie, are incompetent, lazy, boring, or even crazy. Not all Doctors are perfect so you would expect not all Historians to be perfect either. Still there are minimal standards. Recently like Evans points out I have noticed some really bad History Books. Books that seem to lack any attempt at objectivity. It is probably impossible to be totally objective when it comes to History. Everyone knows that. Regardless the Historian is supposed to try - right? Apparently not. In a few books author’s have actually stated in the introduction that they have an agenda and anything you’ve ever read before that, if it goes against their agenda is a lie, a coverup, a conspiracy. I appreciate that kind of honesty since that alerts me that the book is more opinion piece than History and I need not waste time on it. I assumed these occasional books were written by self publishing fringe dwellers and destined for the bargain rack on eBay. Apparently the problem is bigger than a few outliers. The problem is big enough to have a major Historian of Evans stature write an entire book about it. In a culture where most of us learn History from Hollywood - be it John Wayne or Oliver Stone, it’s hard for us amateurs to know fact from propoganda. Evans gives us some of the major issues and examples in a book that is quite entertaining and enlightening. I would love to hear what some of the “Historians” he calls out have to say. What are we supposed to think when Academics state - paraphrased - “The Holocaust never happened and if it did we can’t really know i did?” How can any reasonable person, never mind an academic encourage this kind of absurdity? Evans is much kinder to the Post Modernist Historians than I would be. On the surface Post Modernist’s appear to offer nothing but contrariness. It’s refreshing when someone thinks outside the box but Post Modernist’s don’t believe there is a box to think outside of. I have to admit maybe I just don’t understand Post Modernism when it comes to History. Apparently neither does Evans so I’m not going to worry to much about it. The Imperial Japanese Navy (IJN) was the third most powerful navy in the world at the start of World War II and came to dominate the Pacific in the early months of the war. This was a remarkable turnaround for a navy that only began to modernize in 1868. 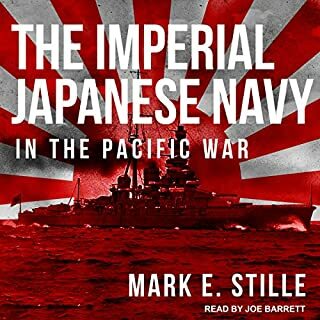 The Imperial Japanese Navy in the Pacific War details the Japanese ships which fought in the Pacific and examines the principles on which they were designed, how they were armed, when and where they were deployed, and how effective they were in battle. Great book on IJN ships. It’s more a History Of Individual ships and their fates than a narrative of the IJN in the Pacific War. Listening to a book based on that premise sounds like it would be quite dry, surprisingly the opposite was true. When I finished I felt the book was over much to soon - a rarity for me. I am already familiar with many of the ships covered or at least the results of the battles they were in from the multitude of General Histories Of The Pacific Naval War I have read in the past. The Author’s approach of covering the ships themselves- famous and not so famous - as opposed to an overall view of the war itself allowed him to include a lot of new (at least for me) information on the specific ships of the IJN. There is a lot of information packed in a relatively small book. If you are interested in the big picture of the IJN in WW2 this is not the book. Highly recommendable to those who want more specifics on the ships themselves.